Hailed as a Mohun Bagan legend, Jose Ramirez Barreto was the blue-eyed boy of Mohun Bagan fans during his time with Mohun Bagan.Barreto joined Mohun Bagan in 1999-00 season and formed a formidable partnership with Igor Shkvyrin and Stephen Abarohi. 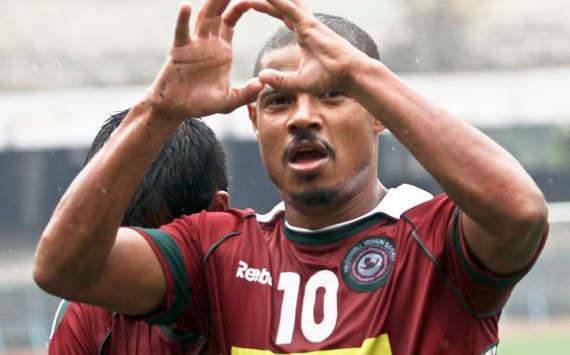 During this period Barreto helped Mohun Bagan win 2 National Football League titles including an incredible 2001-02 season where Mohun Bagan won five trophies including National League and Federation Cup.During this five seasons with Mohun Bagan, Barreto scored an incredible 126 goals from 180 matches. Between 2004 and 2005, Barreto had two successful seasons with Penang FA and Mahindra United, however, the “Sobuj Tota“(Green Parrot) of Bagan was reunited in 2006 season with an erstwhile transfer fee of 60lakhs Indian rupees.This marked an epic journey for Jose Ramirez Barreto whose popularity rose to cult status among Mariner fans and won everything for Mohun Bagan. Barreto was known for his calm demeanour and behaviour on and off the pitch while he equally lethal on the pitch. 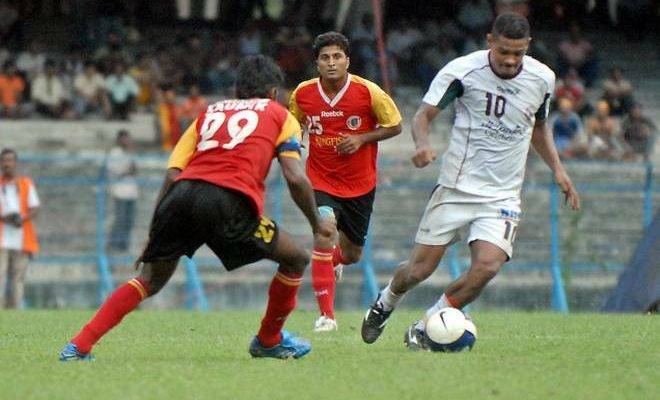 An epic marksman, a shrewd poacher, sublime finisher and ability to turn games on his own is what made Barreto the Messiah for Mohun Bagan fans.In 2010 season Barreto touched the unique feat of scoring 200 goals for Mohun Bagan from 324 games. Jose Ramirez Barreto still resonates in the heart of Mohun Bagan fans as a living legend and possibly one of the greatest footballers to have played in India.Barreto bid a tearful farewell to Mohun Bagan in front of 30,000 fans and his family on 6th May 2012 against Pune FC.Though he played briefly for Bhowanipore SC for a season, Jose Ramirez Barreto has been immortalized as part of Mohun Bagan folklore as one of the greatest overseas footballers to have played in India.